This beginner workshop will guide students in the creation of their very own wearable beads! 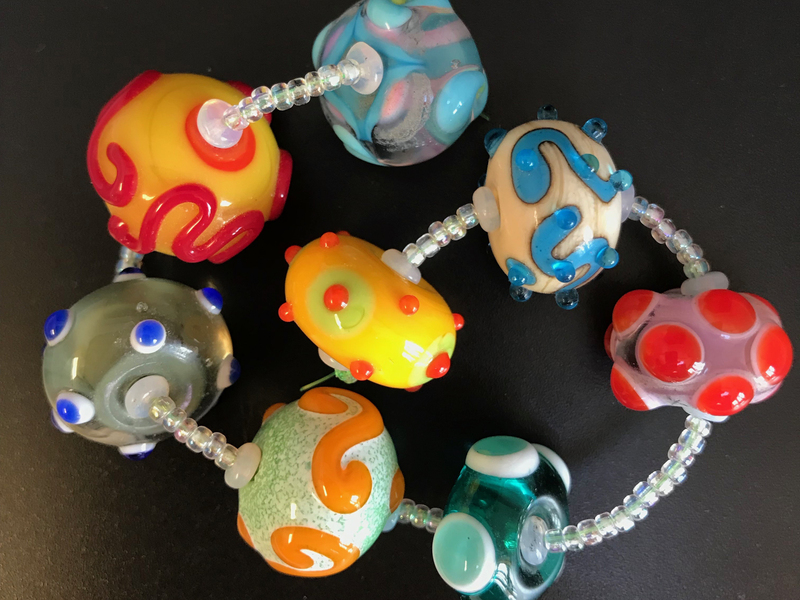 We will explore color and form through the lens of pattern and texture, applying your unique voice to the art of glass beads. With safety talks and demonstrations, students will learn the process of melting colorful glass rods at the torch and how to use a basic set of tools to shape the molten material. Open to all levels. Ages 11 and up, 9 with a parent/guardian.